Does Man Need Religion? Does Islam Condone Terrorism, and War? Is Islam Compatible with Science? we all already heard about the Old and New Testament..but this? Quran the Final Testament? NICE~! really want to read this book.. 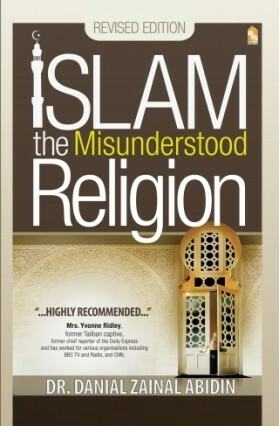 The intention of writing this book is not to create enmity or dissension, but to convey the truth about Islam. We pray to Allah that it will benefit everybody, Muslims and non-Muslims alike. Dr. Danial bin Zainal Abidin graduated from Alexandria University, Egypt and is a licensed medical practitioner. He is also the managing director of Danial Zainal Consultancy in Malaysia, a panelist for several TV programs in Malaysia, a columnist and author of 12 books in both Malay and English (Perubatan Islam dan Bukti Sains Moden, Islam The Misunderstood Religion, 7 Formulas of Excellent Individuals and Quran Saintifik). writer really good in science..the first book I’ve read from him was Quran Saintifik.. it’s totally good! and this new book, couldn’t wait to get it..